Santiago is a massive city so you’ll want to find restaurants that are close to where you will be anyway. If you want to try typical Chilean food, the New York Times has a great review of Hosteria Doña Tina which is located on the upper east side of Santiago. If you speak Spanish, then www.santiagourmet.com is a great choice as it has a comprehensive list of Santiago restaurants broken out by location, genre, and price. 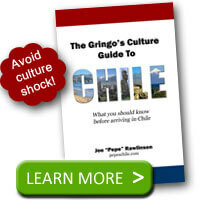 If you are visiting Chile, you may be tempted to eat at international restaurants that you recognize. Don’t do it! The food will likely taste just as it did at home. Where’s the fun in that? 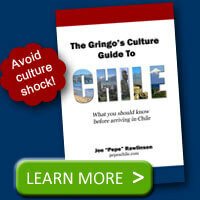 Enjoy your experience in Chile by trying new foods and getting a taste for some typical Chilean food dishes.